Edge has released a list of the Top 100 computer games of all time. I’ve only ever played four of them. 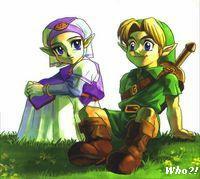 I haven’t ever heard of most of them: What the hell is “Legend of Zelda: Ocarina of Time”? Who or what are “Ico”, “Okami”, “Shenmue” and “Ikaruga”? Is there really a game called “Geometry Wars”? No, I don’t really want to know. Give me a quiz game or a business sim over this lot any day. Is this proof that I’m not a computer geek and all the monitor nerds will shun me forever? Or the exact opposite? This 1,176th post was filed under: Media.